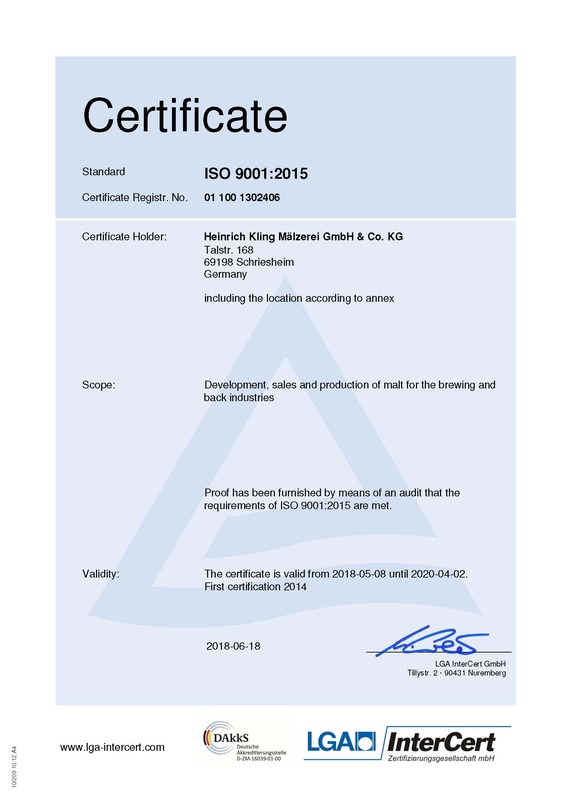 The complete process from development to production and delivery of our diastatic malt powder and brewer's malts is governed by the DIN ISO 9001: 2008 quality management system. Would you like see our current certificate? Just look here. 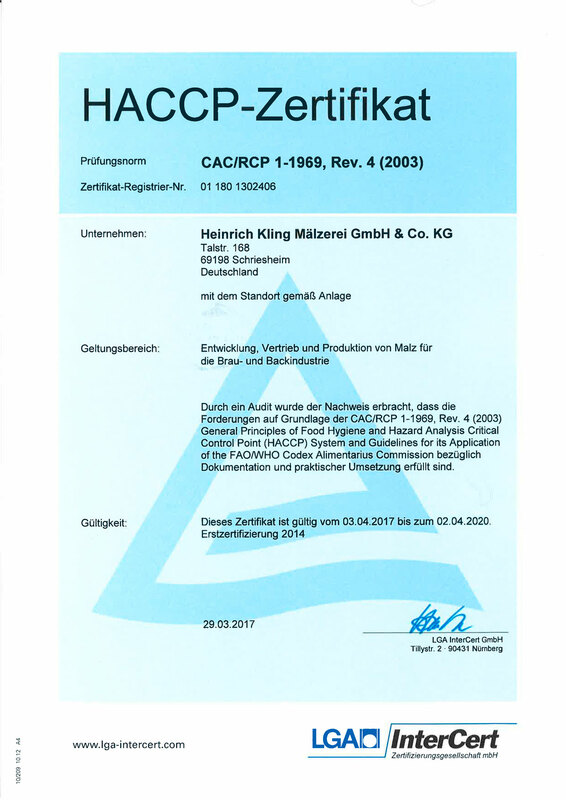 Our company has been operating a HACCP system for many years, and its effectiveness has been continuously proven by external audits. 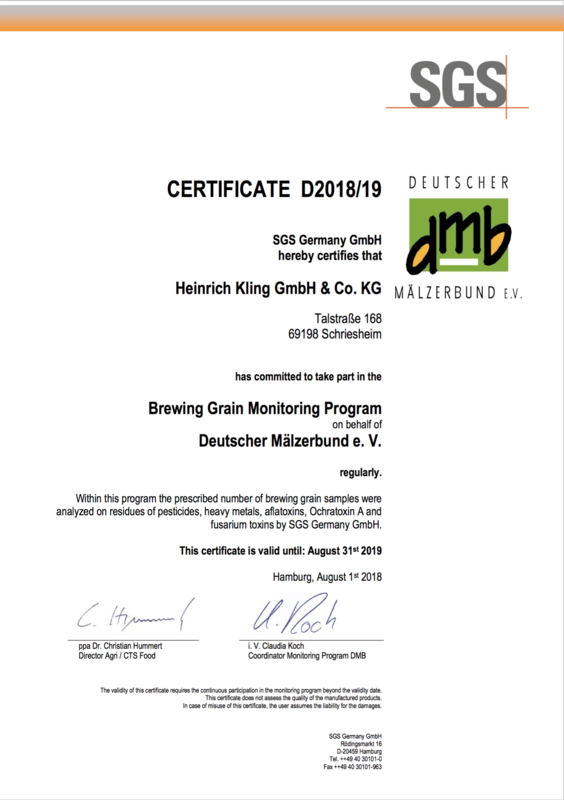 We have agreed to participate in the Brewer's Grain Monitoring Program that is run by Deutscher Mälzerbund e.V. 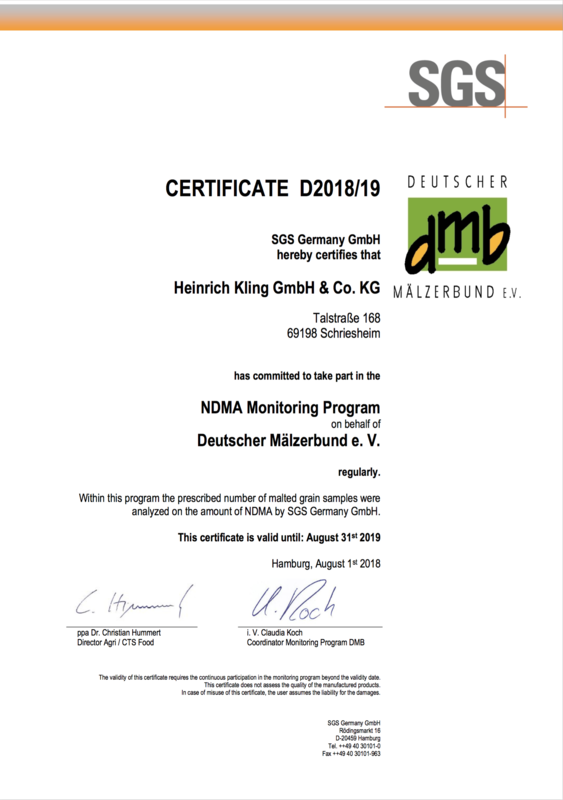 Under this program, a certain number of residue samples are taken and tested by SGS Germany GmbH for the presence of pesticides, heavy metals, aflatoxins, Ochratoxin A, and Fusarium toxins. 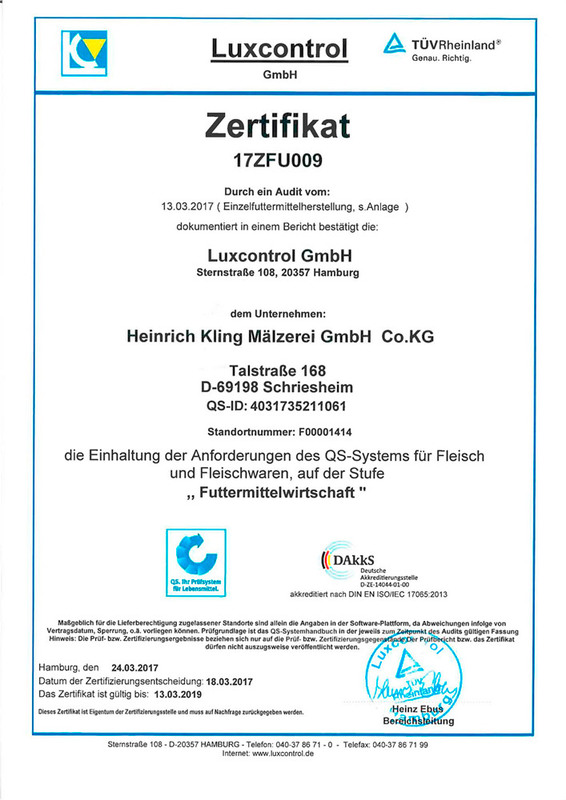 Do you need to see our current certificate? Just look here. Apart from this, samples are also tested for the presence of N-Nitrosodimethylamine (NDMA) within the scope of the NDMA Monitoring Program. In the area of animal feed, our processes at both plants meet the requirements of the QA system. As of January 1, 2005, all human food and animal feed products must be traceable. This requirement imposes increased demands on all stages of the brewer's grain industry. The European Regulation on Basic Foodstuffs (EC) No. 178/2002 obliges all companies concerned to implement tracking systems within their area of ​​responsibility. Due to this, our conversion from a continuous to a discontinuous silo operation has proven to be advantageous. Silo compartments are systematically and frequently emptied at KLING MALZ. Our system makes records of when they are vacant. It is only by ensuring the separate storage of the different grains that we store that we are able to enormously increase the transparency of the flow of goods within the company. The fact that we use a large number of smaller silo compartments also increases the precision of the separation process. The resulting flood of data about all kinds of movements (relocations, empty messages, and the dispatching and acceptance of goods) are recorded automatically using PCs through a "movement log." This is the only rapid and feasible way of ensuring traceability. 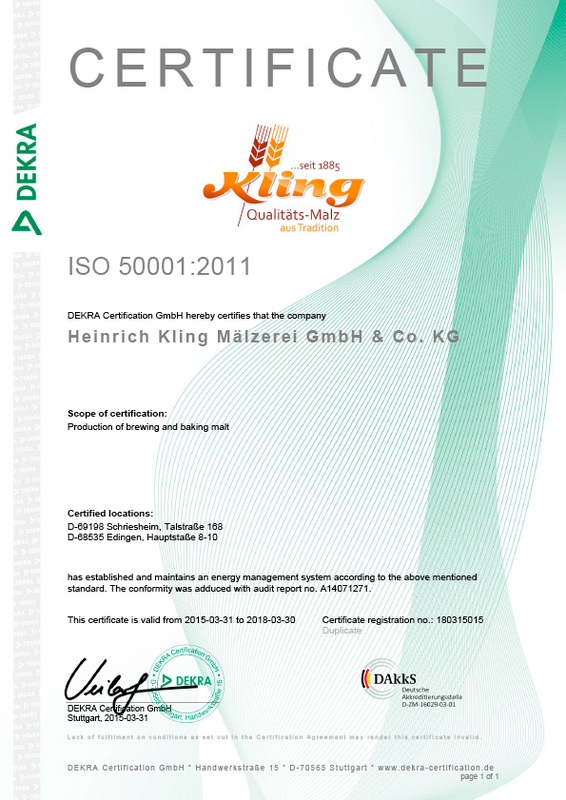 The system provides KLING Malz with a quick overview of all movements of goods within the company. 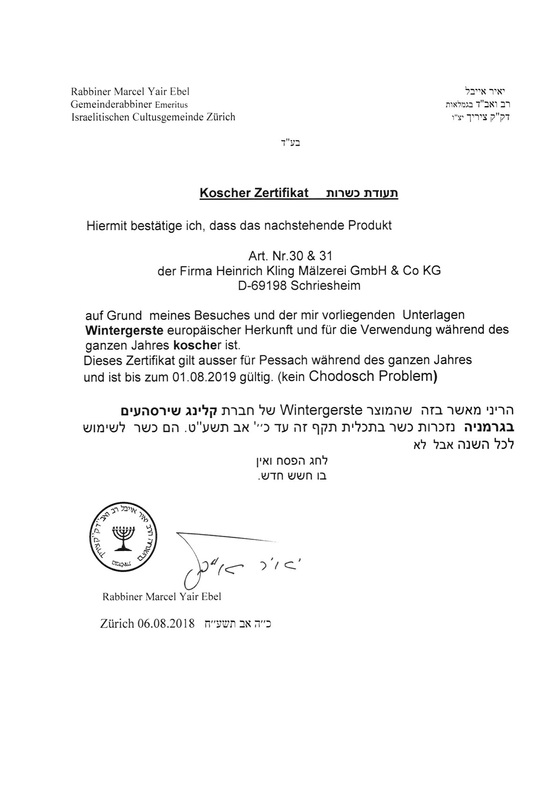 For us, the requirements of the German beer purity law (Reinheitsgebot) go beyond the germinating vessels. 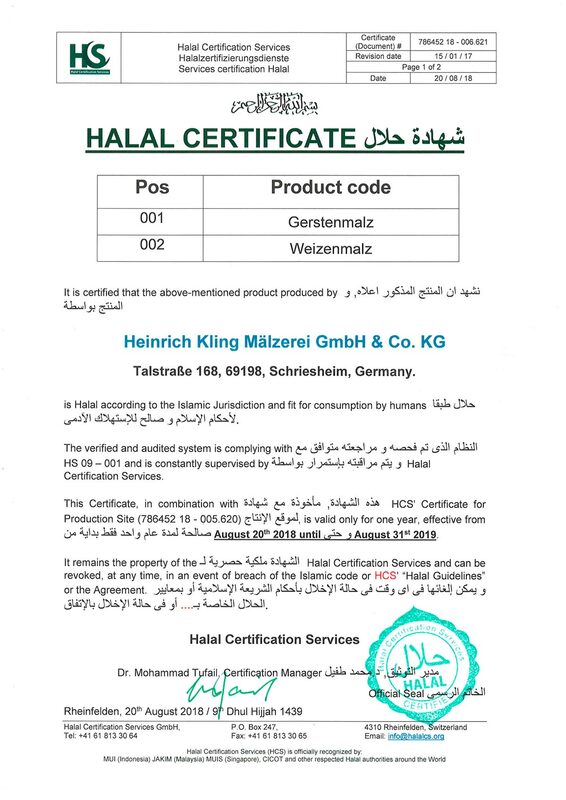 EU Regulation (EC) No 825/2004 stipulates strict hygienic requirements governing foodstuffs that have been in effect since 2004. It is our day-to-day obligation to meet these requirements.